The Pound-to-New Zealand Dollar rate is trading at 1.8875 at the start of the new week, after falling more than half a percent in the previous week. Although global risk trends appear to be in the driving seat now, in the week ahead the pair is likely to be affected by Sterling-volatility as the 'meaningful vote' on the government's Brexit deal takes place on Tuesday, January 15, at 19.00 GMT. From a technical perspective, the charts are providing contrary evidence which doesn't help us to forecast the direction of the next move, although if pushed a very marginal bullish bias is evident on the daily chart. Normally the established trend is inherently biased to continue, so technical analysis largely consists in defining the direction of the trend, which then provides a directional bias on which to base a forecast. Yet in the case of GBP/NZD this is not as simple as it sounds. The weekly chart is showing that a correction is underway in a more established downtrend. Yet although the overarching trend is bearish - ever since the 2.04 highs achieved in October 2018 - the recovery since the 1.81 lows set in December has also been quite strong and it is possible to argue that a new uptrend may be in the process of forming. Given both POV's are valid, the chart provides us with little edge. Looking at the recovery since the December lows in more detail on the daily chart we note that whilst the pair has established a clear short-term uptrend, confirmed by the formation of two higher highs and higher lows, the pair has also undergone a fairly lengthy decline in January since it peaked on December 31 at 1.9190, and it also possible to argue that this decline has also now established a new short-term downtrend. One bullish sign on the daily chart, however, is the location of the 50-day moving average (MA) which is providing underpinning support to the exchange rate. The declining peaks and troughs on the 4hr chart seem to suggest a bearish bias, but the strong rebound since the January 11 lows has now surpassed the last higher low before the low of the 11th which is a bullish sign - further adding to the confusion. The RSI momentum indicator in the bottom panel was bullish on the daily chart up until the December 31 highs, but the pair pulled back anyway and that time the strong upside momentum was not a sign of more upside to come, yet it is also true that downside momentum in January has been weak, perhaps arguing for a bias to the upside. Overall we are neutral on a technical basis, with a very slight bullish preference, if forced to choose. A break above the new year highs at 1.9190 would be required for more validation, however, with a cautious upside target thereafter at 1.93. The main releases in the week ahead will probably be those out of China, given New Zealand's close trade links with the world's second-largest economy. We have already had trade data overnight and analysts will be wanting to see whether some disconcerting signs in that data are replicated across other key gauges, reinforcing the negative outlook (and negative NZD bias). Both Chinese imports and exports fell unexpectedly heavily in December. Exports by -4.4% when they have been forecast to rise 3.0% and rose 5.4% in November; and imports by -7.6% versus a consensus expectation of 5.0% rise, and 3% previously. 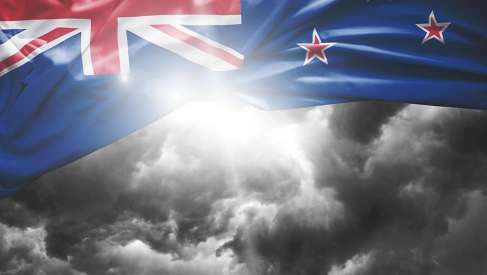 Although the actual current account balance rose to $57bn (higher than the expected $51.5bn) the trade volume declines were more concerning, and this weighed on NZD and AUD on Monday morning. “This slowdown does not bode well for risk today and is impacting across the higher risk commodity major currencies such as the Aussie and Kiwi which are aligned to continuing the Chinese growth engine. A slip back into more of a safe haven bias is being seen today, with the yen performing well, whilst gold is holding up, Treasury yields are lower and equity markets are under pressure,” says Richard Perry, market analyst at broker Hantec Markets. Later in the week Chinese Q4 GDP data, out in the early hours of Thursday, January 17, could re-stoke global growth fears if it undershoots the 6.4% forecast, which is looking increasingly possible. Chinese house prices, out on Wednesday, at 01.30, could also be important given the old adage ‘housing leads the economy’. On the domestic data front, the main releases are NZIER Business Confidence, out on Monday night at 21.00, the global dairy trade index out on Tuesday at 14.30, and Business PMI out at 21.00 on Thursday. 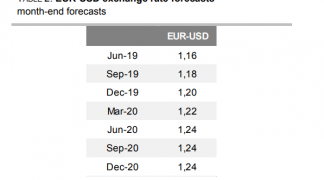 None of these are likely to be market-moving, however, unless they show extreme, unexpected, swings, as NZ domestic data rarely moves FX markets.